My top ten only, although I can assure you that Casino Royale '06 is at the bottom of my list, that's for sure. The rest I have yet to really sort out, I need to rewatch them. Actually, I need to rewatch some of my top ten as well. I can assure you that Casino Royale '06 is at the bottom of my list, that's for sure. I really should write a review of it and explain my points, so it doesn't look like I'm bashing it for no reason. I do have reasons, it's not to get a rise out of people, or to "be different from the pack" or something. I consider it to be an pretty awful film generally, even outside of Bond. Nice work Dr.! I would have raised some questions had DAF not been in your top 5. (Sigh), breaks my heart to see GoldenEye and Tomorrow Never Dies so low! They are both in my Top 5! A thrill ride of action all the way, no stops, no fooling around. Just straight up Bond! @bondbat007: Well stated! I feel this way as well. Although OHMSS is my least favorite Bond movie, that doesn't mean I don't enjoy it. It just means I think that the other 21 are better. By the way, it's just a coincidence that my least favorite is your favorite! I had no idea until I looked at your post half-way through my post. 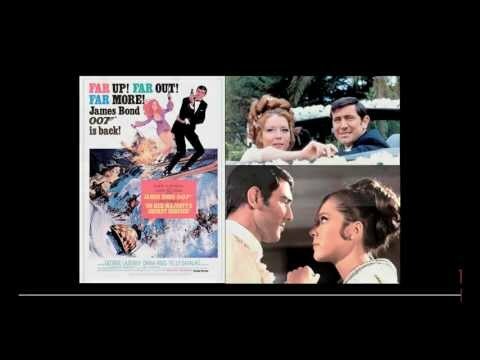 I just didn't want you to think that I was railing on you for liking OHMSS! Well that's the best thing about Bond fans isn't it? Such different opinions but we can all agree on many things as well! Indeed, Goldfinger is two steps from the bottom, saved only by DAD and OHMSS, which are definitely the ones I'd pick last to watch on a Friday night. Save for CR and GE, this is a very good top ten. I like it. I'm very surprised at this. GF might not be perfect, but it's still a good Bond film. Same goes for OHMSS as well. It boggles the mind that you could consider films like Moonraker and The World Is Not Enough superior Bond films to Goldfinger and OHMSS. Goldfinger and On Her Majesty's Secret Service are two that absolutely bore me to death. While I still enjoy any Bond movie more than any other movie out there, these two are the ones I don't enjoy watching as much as the others. As for TWINE, I really do like it. It has Pierce Brosnan, two great villains, good action, a complex plot, good music, and real style. As for MR, it is in my "could have been better list" along with DAD, GF, and OHMSS. It's just how the rankings work out, my friend. After about 14, they are basically then in random order as I like none of the remaining films AT ALL. @Arsenal02071: I like all the Bond movies, no matter if #1 or #22, it's just that I prefer some more than others. However, I see what you're saying and am in no way trying to criticize. By the way, we seem to think alike on Top Ten! FRWL, TB, FYEO, TSWLM, CR, and GE are all in my Top Ten! Strangly enough, our least favorites are similiar, like MR, YOLT, and OHMSS. I actually like all the films too,if i am in the right mood to watch them. Did you really need to make a video for that?